RDH is the top magazine for dental hygiene professionals. 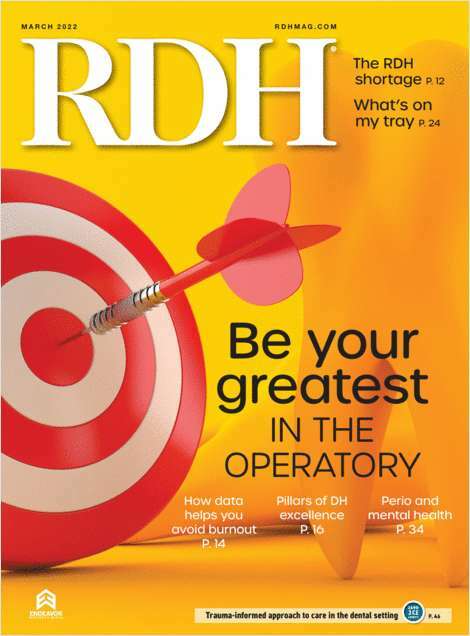 Do you wish to receive a FREE subscription to RDH? How many years have you been practicing dental hygiene? Are you a member of the ADHA? What type of dentist do you practice for? Which format would you prefer to receive your copy of RDH? Complete and verifiable information is required in order to receive this subscription. • Geographic Eligibility: US (Print and Digital), Selected International (Digital edition only). • The publisher determines qualification and reserves the right to limit the number of free subscriptions.